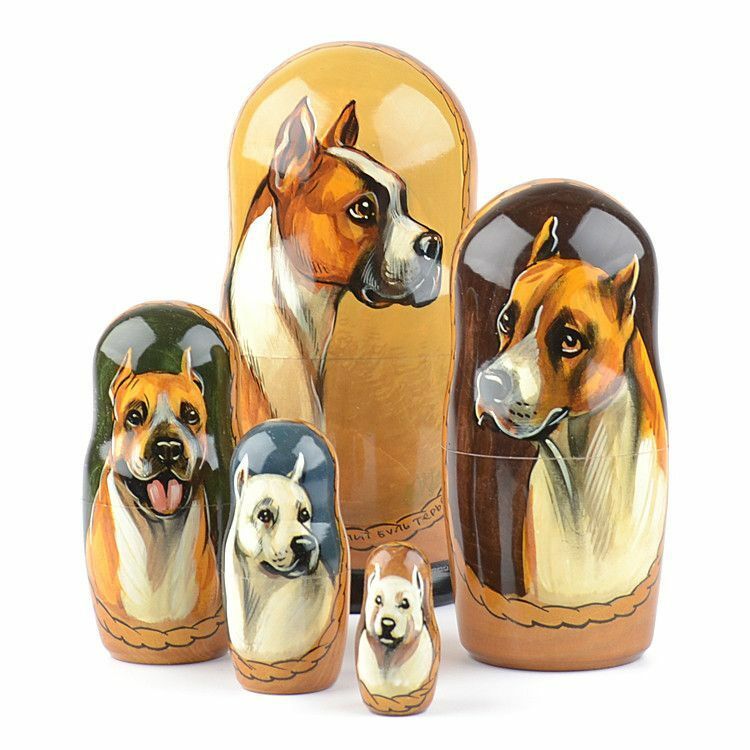 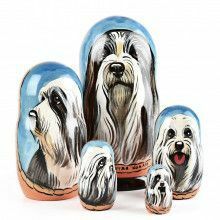 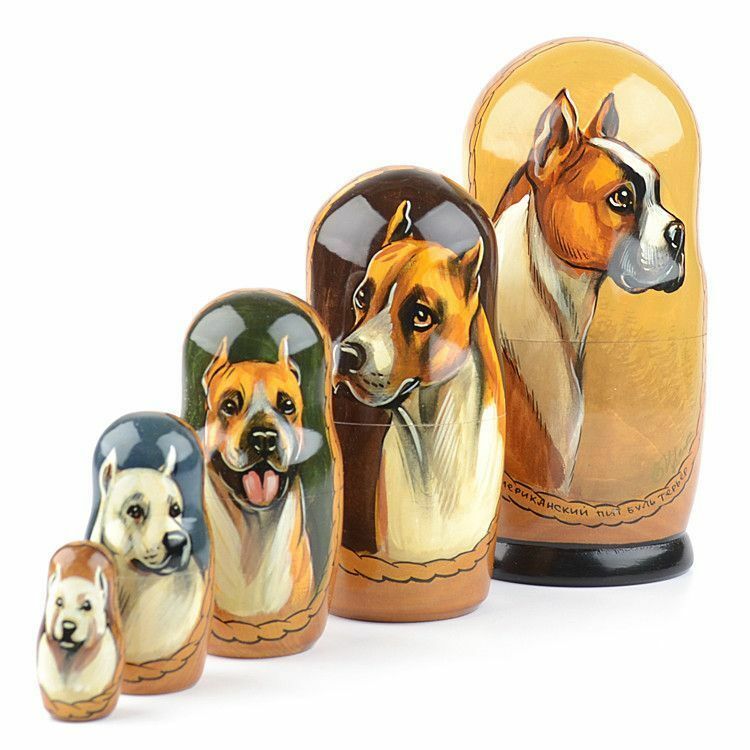 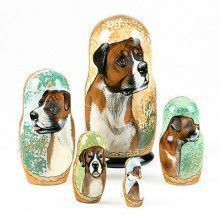 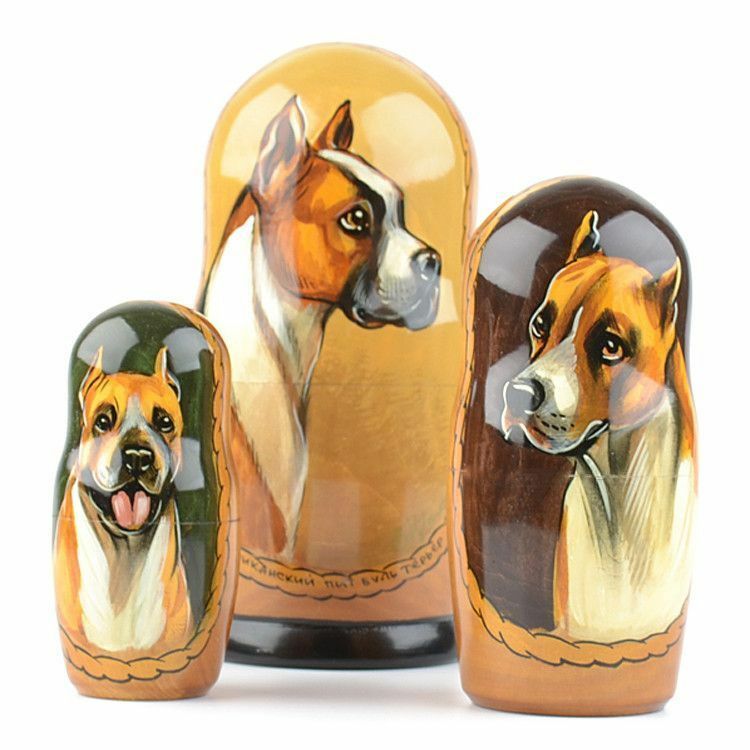 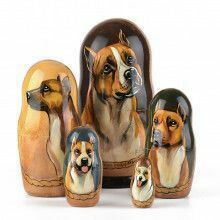 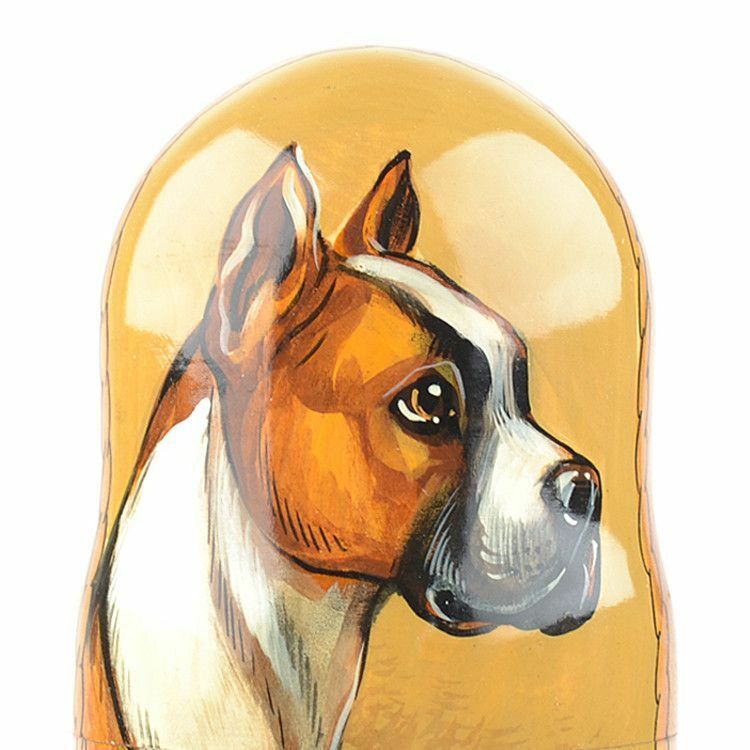 This adorable dog nesting doll features 5 dolls, each with a hand-painted illustration of an American Pit Bull Terrier starting from the puppy and grown to adult dog. 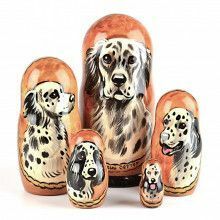 Hand-made in Russia. 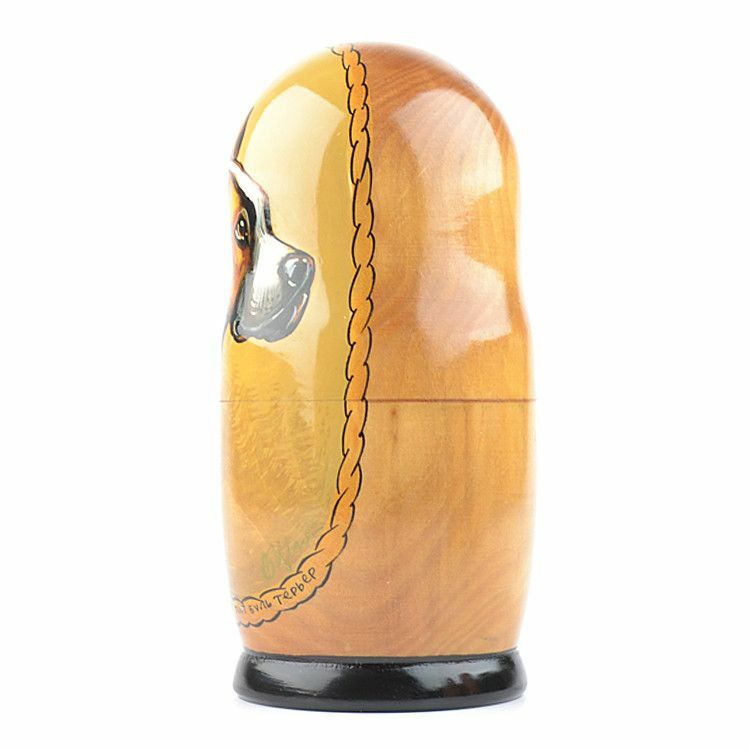 Approximately 6 3/4" tall and gloss-finished. 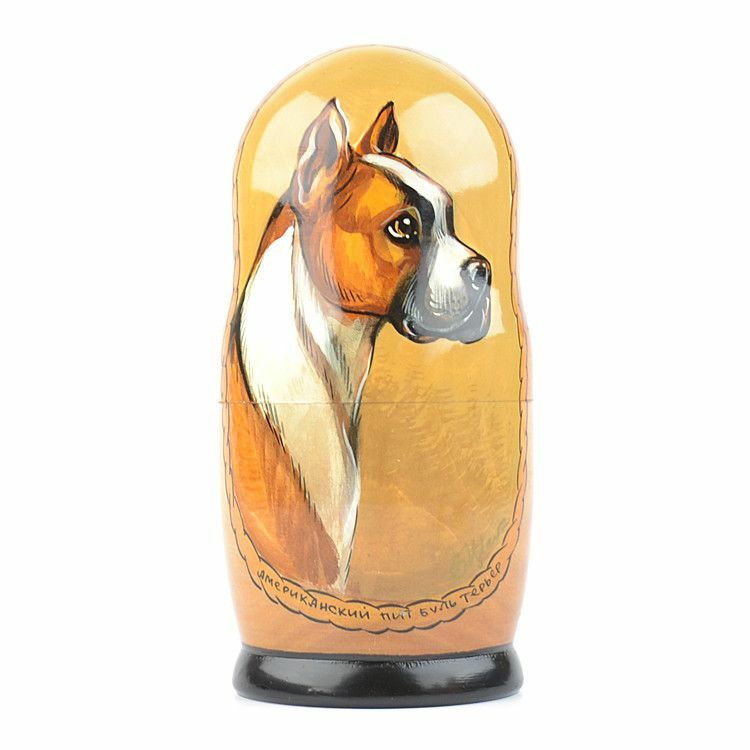 Signed on the bottom by artist: Tsvetkova O. and the city of N. Novgorod. 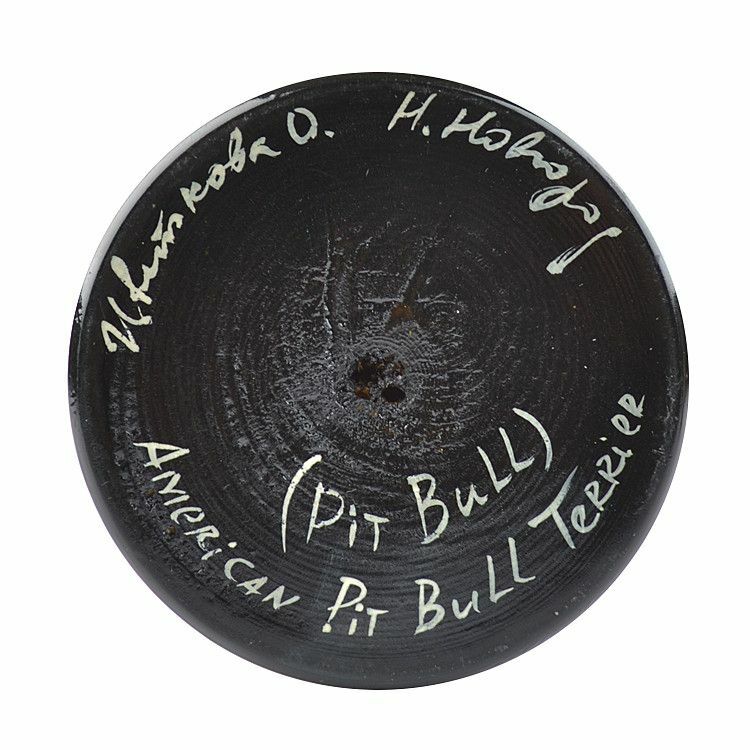 Makes a perfect gift for any American Pit Bull Terrier dog breed owners!